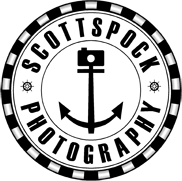 “As soon as we first met Scott and Kor at Newton Hall we knew we would be wasting our time shopping around for other photographers and after seeing their amazing work and their infectious personalities there was no reason not to book them…. The best decision we have ever made! We had a fabulous day at our pre-shoot, they made us feel so relaxed and we knew we had nothing to worry about after seeing the pictures. They even paid for our parking before we got there, it really is the little touches like that which makes them stand above the rest. We also got to meet Captain Jack which put the cherry on the top. The Spockers, including Phil added a certain je ne sais quoi to our special day, for which we will be forever thankful for. On the run up to our wedding, during and after we felt like we were the only bride and groom they were ever dealing with. They are literally the most hard working, kind and generous people we have ever met, not to mention very talented photographers. Nothing (or so it seemed) was ever too much trouble. We were never without a drink in our hand or wondering what was happening next, they were so on the ball it was amazing. They made sure we got all the snaps we wanted from the day which have blown our expectations out of the water. Their attention to detail in each picture is out of this world and every time we look at them we notice more and more little Spock touches. We could go on for days about how fabulous these guys are but in a nut shell… any Brides and Grooms out there looking for photographers to capture your special day through your guests eyes… book The Spockers!